A look at Axis Bank on social media in terms of its social media objective and content strategy. Axis Bank began its operations in 1994 after the Government allowed new private banks and was also the first one to do so. 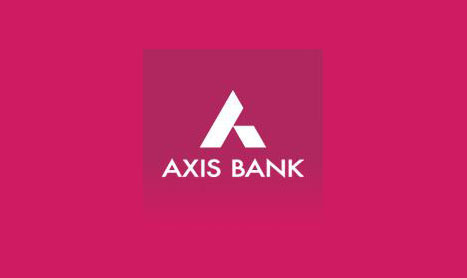 Touted to be India’s third largest private sector bank, Axis bank went through a major repositioning beginning this year, with a new tagline ‘Badthi ka naam zindagi’ replacing its old one ‘Aapka solution’. The bank wants to be your partner in life and not just a solution provider. Since some time, I’ve been bombarded with Facebook ads from Axis bank asking me to scan my face and get my likes and dislikes analysed. 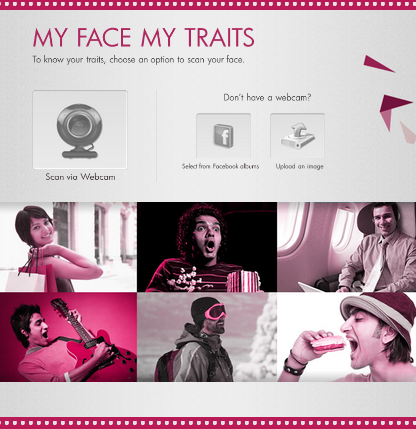 Intrigued, I clicked the ad that led me to an intelligent Facebook app ‘My Face My Traits’ that would scan my picture. Post the scan, I was identified to be an entertainment buff and was recommended the Axis Bank MY Zone Credit card through which I could avail special offers on favourite movies, dining and more. A ‘Know more’ button took me to the bank website which provided more details about the card and a link to apply. This is way too cool to introduce the concept of MYcards – customised credit cards – wherein consumers have the freedom to choose a card that maximises benefits in the areas of his preference. So choose a card that suits your personality! Social media seemed to form a good part of all marketing initiatives at Axis. Even at the time of repositioning, the bank had resorted to a Facebook app ‘Meri Zindagi ka Safar’, which calculated the distance your life has taken so far. The idea was to celebrate and learn with every little travel story. Social media, another sales channel? Fascinated by a bank that employs social media as its storytelling avenue, I tried to explore into other channels. The bank has a Twitter and a YouTube page along with Facebook. The Twitter handle (@AxisBankOffers) as the name suggests, exists purely as a channel for spreading the various offers on the Axis Bank cards. The account does not converse or follow anyone. YouTube, on the other hand is a collection of all its TVCs. So I returned to the Facebook page and as scanning was the order of the day, I too did a partial scan of the Facebook page. The foremost thing about the page – it is not open for interaction. And sadly, more than half of the updates on the Facebook timeline were cluttered with the various offers and schemes by the bank. Very few of them related to the banking industry but the bank failed at the real acid test – the place where it should address customer complaints. The page admin has ignored complaints almost in all of the updates. Interestingly, a customer grievance redressal link from the website has been shared as a wall update. This link could have been easily shared with the irate complainers too, apart from giving them a listen. In a nutshell, all the social accounts seemed to be hard selling; none of them had been set up for a two-way dialogue! Banks like Axis need to know the fundamentals of being on a medium like Facebook or Twitter. Negative sentiments will always be there, but not addressing core issues of your customers while harping about your banking products on social media, might not go down too well with your customers. ICICI Bank, a major private bank in India, provides dedicated customer support through its Twitter handle @ICICIBank_care. Same is the case with HDFC Bank’s Twitter account (@HDFC_Bank). Yes Bank is another example of responsible social media. The Twitter page of Kotak Mahindra bank (@KotakIndia) is a treat to watch and along with Facebook in its arsenal, the bank has been pushing its ‘Save with Subbu’ campaign quite adorably. Social media is not a place for hard selling, you need to build a healthy, trusting relationship first. When Standard Chartered needed to sell its credit cards, it began by building a foodies network on Facebook. The returns on it – (i) a strong social media presence, (ii) a niche community and (iii) soft sell of its credit cards. Axis Bank needs to address to its existing customers’ grievances and then continue with building an online community. Promoting its customised cards would then be a breeze! Nevertheless, I liked the concept and execution of the app. Would love to hear your thoughts though?